“I can't emphasize enough how optimistic I am because ...humanity is going to soar, we are going to have wings, we are going to fly!...it is going to be such a nicer planet." "The Pharmacratic Inquisition – On-Line Edition"
Welcome to the Miracles and Inspiration conference call for Tuesday, October 28, 2008. Tonight we have a fabulous evening of information and wisdom planned for you so we are happy you could join us. My name is Scott Mowry and with me, as usual is our co-host, Dan Rezac. Dan, how are you this evening? Tonight we are going to continue our examination of the pineal gland that we began a few weeks ago. If you missed our introduction to the pineal gland which we started back on September 23rd conference call. You can hear a recording of this call in our conference call notes from that date. Our special guest tonight will be Jan Irvin of Gnostic Media. 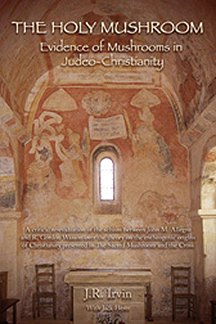 Jan will be releasing a new book later this month entitled, "The Holy Mushroom," that investigates the origins of Christianity. He was also part of the team that produced the excellent video we have recommended entitled, "The Pharmacratic Inquisition." Jan will be joining us during our second hour of the program tonight. Just as a reminder, we are now posting all the information about our upcoming calls on our web site in our Conference Call section which is found under the About Us tab on the far right hand side of our home page, www.miraclesandinspiration.com. Also, if you would like to be on our email subscription list you can do so by sending an email to info@miraclesandinspiration.com with "Subscription" or "Subscribe" in the subject line and we will be happy to sign you up. You are everything you need to be to handle the changes in your life. You are a storehouse full of talent, skills and abilities. You are full of power. And you are surrounded by help, love and guidance at all times. When change is upon you, when you hear the sound of the rapids ahead, this is the time to come completely into the present. This is the time to stop gazing back at what might have been, to take a deep breath of courage and then to face forward into what is and what lies ahead. This is the time to be completely one with the river and its flow. Pay attention with all of your senses, physical and intuitive. Use your powerful mind to understand the movement of the river. Use your deeply connected intuition to sense when a new passageway is about to open up. Reach up into spirit to keep your energy high and flowing, so that you are able to react and respond quickly, fluidly and powerfully. Fill yourself with confidence and courage and know that you are not alone. And then, when the opportunity comes, when you feel the waters shift and flow, take action. And if you are then carried into a new life, one very different from what you had previously expected, be glad. Celebrate the changes and the newness of experience. After all, you had hoped that your old dreams would bring you into a state of happiness, joy and love. So lift yourself into that state with your mind right now and then be open and willing to allow life to bring you new dreams, perhaps even greater than those you had before. Life is change and movement, and newness is a gift. And the river flows. 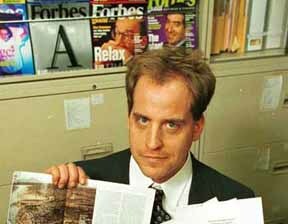 Asian economic journalist, Benjamin Fulford appeared on the Jeff Rense radio program on October 13th in what turned out to be a very inspiring interview. Mr. Fulford could barely contain his enthusiasm for unfolding positive events. "The whole paradigm of the western world is about to change," Mr. Fulford said. "The world is going to change and it is going to be a wonderful thing." "The (economic) system is very evil and it has finally come to a crash. I can't emphasize how optimistic I am because with these people (the NWO) out of the way, humanity is going to soar, we are going to have wings, we are going to fly! There is going to be so much wonderful technology coming out that has been hidden from us, there's not going to be any more starving people and it is going to be such a nicer planet," he added at the tail end of part two of this interview. 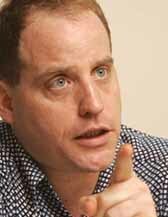 Mr. Fulford claims that the sources for his optimism come from deep within the Pentagon, NSA and, even a member of European royalty, who represent the so called "white hats" that want to see the world undertake positive changes, as well. This latest interview in four parts total, is well worth listening to for those kind of inspiring words from Mr. Fulford as he sees for our near future. Unfortunately, host Jeff Rense is often pessimistic in his tone and sometimes seems intent on overshadowing Mr. Fulford's encouraging projections. However, please don't let that pessimism be a deterrent as you may find this interview to be quite uplifting and encouraging overall! There is no doubt that amazing events are unfolding that are about to free humanity from eons of tyranny and oppression. And even though you may feel insignificant, you can make a major contribution by your own personal awakening and by your inspirational thoughts and feelings! David Wilcock has recorded a special audio blog for his continuing series entitled, "2012 Politics," in which he discusses the upcoming Presidential election, among other timely topics. He now foresees a resounding defeat for the Neo-Cons, and a victory for Democratic nominee Barack Obama. "The morning after I watched the third and final Presidential debate, I was quite relieved to get a dream telling me that it was all over. Even with all the dirty tricks that stole the last two elections in place, the overwhelming likelihood is for a substantial defeat of the Neo cons. I was told that a factor of 17 may be involved, or something close to it," he writes. Thus far, David has penned four other articles under the "2012 Politics" theme, which have detailed the massive changes and transitions the world is undergoing at this time. For more detailed information on this latest recording entitled "2012 Politics Radio Show: Part 1 of 2!" visit our David Wilcock audio section. As an addendum, David added another important piece worth reading entitled, "Is October 26th the Bottom of the Markets?," where he foresees a bottoming out of the stock market followed by fortuitous up-turn in the economy shortly thereafter. You might find the audio recording, along with these two articles, quite inspiring, and at the very least, very informative! We also wanted to remind everyone that on our last conference call on October 14th, Dan presented some new research into the human consciousness scale. He put this information into various charts and graphs which we have now posted in the Conference Call Notes for October 14, 2008. You may find this new research interesting and enlightening. Tonight we are going to continue our exploration of perhaps the most extraordinary gland to be found in the human body, that being the pineal gland. During our conference call from September 23rd we discussed how the pineal gland is the gateway or a stargate to the Divine consciousness. We also examined the how the substance known as DMT or Dimethyltryptamin is secreted by the pineal gland and produces in the brain the experiences that are associated with the realms of imagination, fantasies, dreaming, the near-death and death experiences. Well it turns out that DMT can be found in a number of natural plants which are known as entheogens. One of the most potent forms of entheogens is Amanita Muscaria mushroom which is found primarily in the Northern hemisphere. 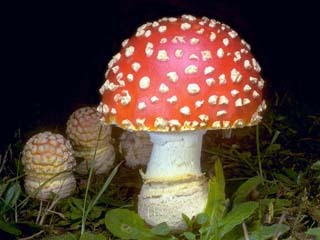 The Amanita Muscaria or the Flying Agaric mushroom (pictured left) is referred to as an entheogen, or, a sacred plant. An entheogen is defined as "a chemical substance, typically of plant origin, that is ingested to produce a nonordinary state of consciousness for religious or spiritual purposes." This particular species of mushroom is a strikingly beautiful, brilliant red in color with white polka dots on its cap, and a long white stem which features a skirt or veil about halfway down. 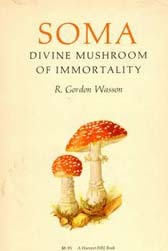 Quite astonishingly, the image of the Amanita Muscaria mushroom can be found in religious and spiritual iconography throughout many ancient civilizations, just as the pine cone/pineal gland symbolism. The Aminata Muscaria mushroom contains a very high concentration of DMT and is considered to be the most naturally potent forms to be found in all of nature. It has been used in ancient rituals for thousands of years to induce an altered state of consciousness, or a "psychedelic" experience. DMT is found in thousands of other plant species and is also the main ingredient in other shamanic potions such as the aforementioned ayuasca and peyote. In so-called modern times, a psychedelic experience has often been negatively associated with drugs such as LSD or "acid," emanating from the Hippie Movement of the 1960's, yet the accurate definition has ancient origins. In Latin, "psyche" means "mind," while "delic," or "delos," means to "make clear or visible." Therefore, psychedelic literally means "making the mind clear or visible." These sacred plants have been used in mystical ceremonies and often administered by a shaman or a medicine man to activate the pineal gland andtake one on a psychedelic, spiritual experience that can be consciousness expanding and life-altering for the participant. 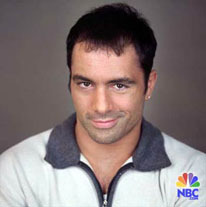 NBC television star and commedian Joe Rogan, ("News Radio," "Fear Factor") has had many DMT experiences. He has talked about them openly on radio interviews and on his own blog in a very enthusiastic and excited fashion. Recently while appearing on the Alex Jones radio program, he spent some time talking about his direct experiences with DMT. What he has to say about DMT is quite interesting, to say the least. Tonight our special guest is an author, filmmaker, researcher, scholar and speaker named Jan Irvin. 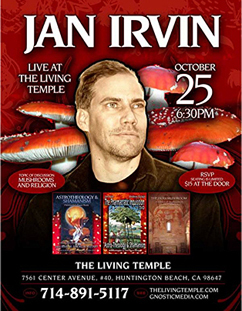 Jan is the author of two books, "Astrotheology and Shamanism: Unveiling the Law of Duality in Christianity and Other Religions" and the aforementioned "The Holy Mushroom: Evidence of Mushrooms in Judeo-Christianity." He has appeared in two videos, "The Pharmacratic Inquisition" and "Hijacking Humanity." He also has created at least six different web sites some of which include Gnostic Media, The Holy Mushroom, The Pharmacratic Inquisition, JohnMarcoAllegro.com and Hemp4Fuel.com. So we would like to introduce everyone tonight to Jan Irvin. Jan, thank you for joining us tonight. Jan, please give us a brief overview of all the projects you have going on at this time. There are quite a lot of things you are involved with and then we can go into more detail about your new book. Tell us about your new book "The Holy Mushroom." How did you get your start into this kind of research? Now I would like to talk about your fantastic video entitled, "The Pharmacratic Inquisition" that we have been recommending to our readers and listeners on several of our calls. This is a great video on the origins of religion and ancient spiritual symbolism. 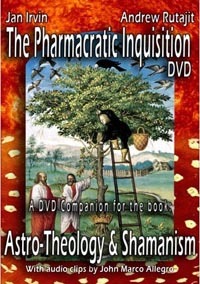 There are actually two different versions of this video, Jan, can you tell us more about "The Pharmacratic Inquisition?" 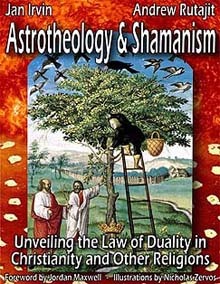 You also have a companion book "Astrotheology and Shamanism," that compliments the video. Can you please tell us about the book and can you define astrotheology for us? OK, I would like to talk about some of the research you present in your first book and your video, can you please explain to us first, about the Aquarius Initiation? You have taken on the mission to restore the somewhat tarnished reputation of man named John Marco Allegro, who wrote a book entitled, "The Sacred Mushroom and the Cross." Tell us why you think this book is so important and why its author John Marco Allegro deserves to be recognized and re-evaluated? 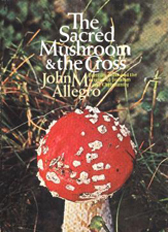 You are making plans along with John Allegro's daughter, Judith Ann Brown, to re-release "The Sacred Mushroom and the Cross," is that correct? Talk about the Amanita Muscaria mushroom and its role in ancient cultures and religions and please explain the word entheogens to our audience? In the first hour, we talked about the myth of Christmas and how it really is a story about the magic Amanita Muscaria mushroom, tell us about how you uncovered this information about the Christmas legend? Tell us about your newest book that you are working on?